You have found your way to this buyers guide because you want to buy a conservatory, or perhaps you are thinking of buying a conservatory. If you are on the cusp and can’t decide whether a conservatory is for you (hint: it is) then why not read our blog: Conservatory Or Extension? If you are saying, “I want it all and I want it now” then please, read on. 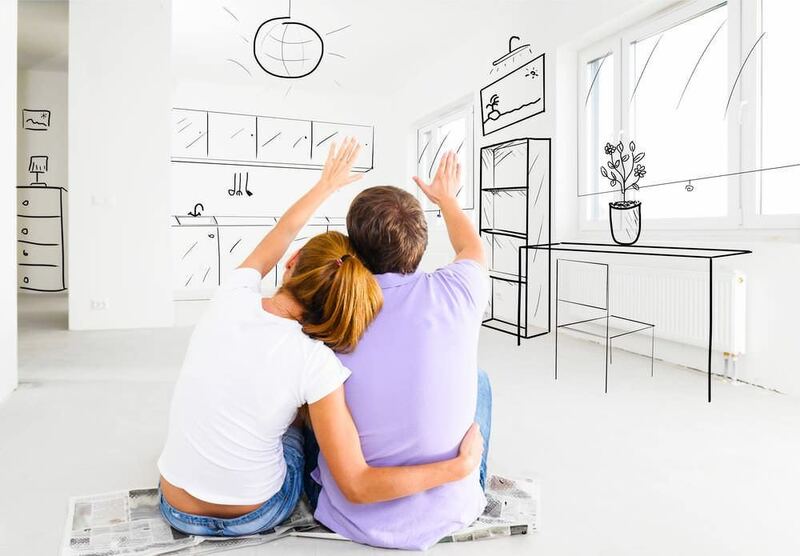 Everyone dreams of a bigger home but extending property space involves a lot of time, planning and money. 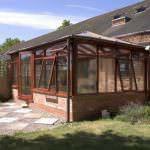 A conservatory, however, takes less time to build, is often the cheaper option and more times than not, does not require planning permission. Hurrah! With this in mind, it’s not surprising that so many people in the UK (including yourself) would like to buy a conservatory. The right conservatory will increase property value, make your home look fantastic (we are all for impoving property aesthetics) and give you the extra space you need – without breaking too much of your budget. Our conservatory buying guide takes you through conservatory design, building regulations and planning permission. When it comes to choosing a conservatory there are many possibilities so we have included some important conservatory tips for you to consider. No property is the same. That’s why when choosing a conservatory you’d like, it is essential that you consider your existing build. Do you have a terraced property? If so, your options may be limited to a small lean-to design. Are you looking to extend into the garden or keep to your patio? Study some brochures to find a conservatory design you like. By doing this, you can clarify to the conservatory supplier exactly what type of conservatory you would like which will simplify the process. There is a wide range of conservatory styles to choose from, including bespoke conservatory styles to modern and traditional conservatory designs. If you would like to get an idea of how a conservatory style can affect overall cost, then use our conservatory prices calculator to get an instant online quote. You will be surprised how much a conservatory design, size and material can affect the final price. Your lifestyle will play a huge part in which conservatory style you choose and where its going to be located. 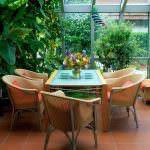 A conservatory can be turned into a dining room which sits with your kitchen, or it can be a playroom which can be located off your living room. 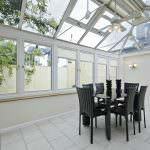 Deciding on your conservatory’s day to day use is important in determining its specification. The style, size, layout and finish are decided at this stage of conservatory planning. How Would You Like Your Conservatory to Look? Are you after something traditional or contemporary? An easy way to look at this is to simply match conservatory to home. 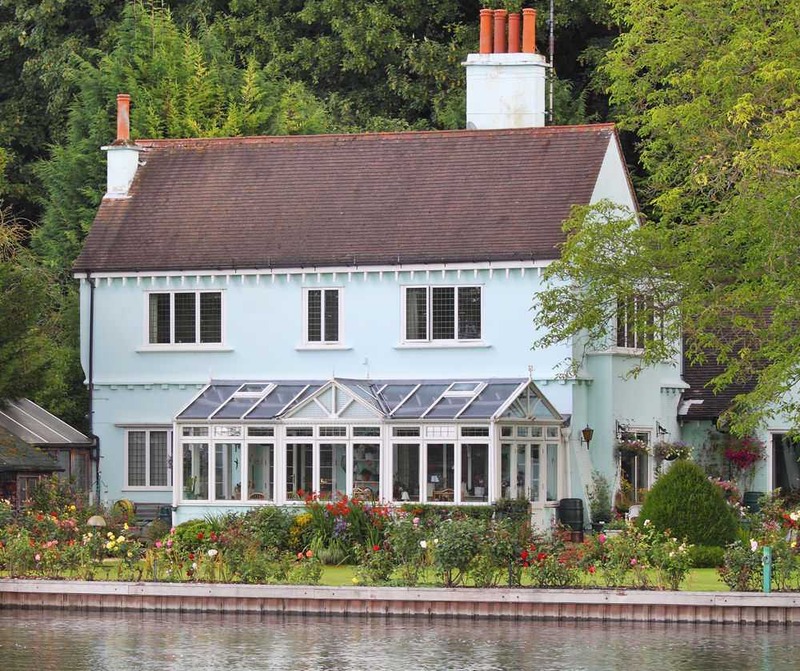 Period style properties are greatly complemented by traditional conservatory designs such as the Victorian and Edwardian styles. However, this isn’t to say period properties should stick to classic conservatories and vice versa. Often a contemporary design combined with a traditional home can revitalise your aesthetics. Does Your Conservatory Style Complement Your Home? You will want to choose a conservatory shape and design that complements the look of your home, and try to match the construction materials and colours in accordance with the character of your house. What colour will your conservatory be? Conservatories now come in a variety of colours, no longer are you faced with the standard option of white UPVC. Where will your conservatory face? Where your conservatory is situated will effect the overall temperature inside as well as natural light. West and South-facing conservatories will receive more sunlight – especially in the evening. However, this also means they have a tendency to overheat during the summer. A North or East-facing conservatory will need to be well insulated. Which conservatory doors, and roof do you want? Your conservatory installer will recommend which doors and roof is right for you. At Conservatory Online Prices, we thoroughly recommend you choose energy efficient conservatory roofs and doors. Roofs with self cleaning glass is also available, helping to minimise maintenance costs. Do you need planning permission? Conservatories are considered a permitted development, however, we recommend you check with your local authorities as plans are subject to change. Have you considered conservatory security? Just like the windows and doors of your house, the entrance to your conservatory must be secure. Your conservatory company will be able to offer you a choice of high security locking systems to keep your conservatory safe and secure. 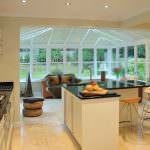 How energy efficient will your conservatory be? Energy efficient glazing is essential. A-rated glass will retain warmth as well as reduce condensation. When choosing a conservatory design, always think width not projection, as this will allow you to arrange your conservatory furniture to take full advantage of the space. Get some pegs and string and mark out the area where your new conservatory will be so you can judge whether you have as much space as you would like. As part of the conservatory buying guide we recommend you do not put doors in the front of the conservatory because this creates a corridor effect, which can make it difficult for you to arrange your conservatory furniture. We recommend you get at least three quotes from different conservatory companies from our network of trusted local suppliers, so you can make an informed decision. When planning a conservatory, make it as big as your budget or floor size will allow to gain the maximum potential from your new home addition. Think about what the conservatory will be used for so that you can choose a design within a budget that is most appropriate for its use. Ask your trusted local supplier to provide you with a computer aided design (CAD) in order for you to envisage the finished project. Finally, don’t forget to budget for heating, furniture, flooring, plants, and blinds when making plans for your new conservatory. 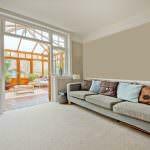 • The floor area is no more than 30 square metres and the conservatory is built at ground level. • External quality walls, doors or windows separate the conservatory from the house. 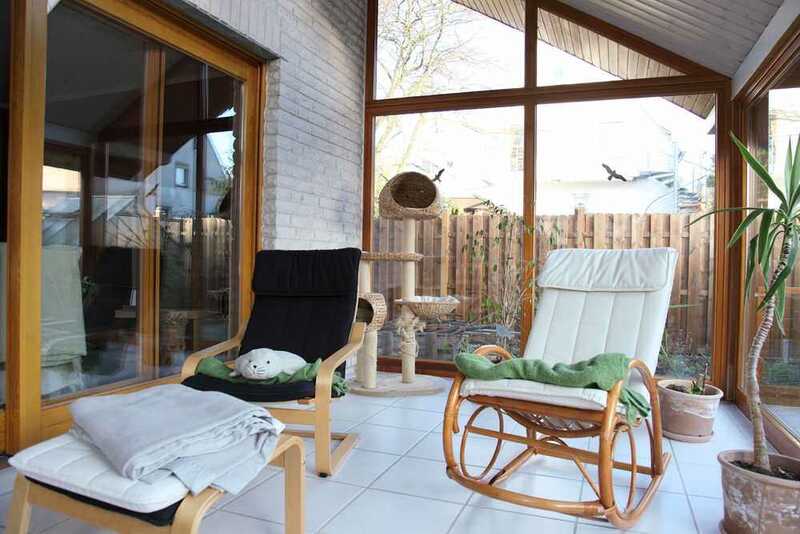 • The conservatory’s heating system is independent with its own temperature and on/off controls. • Glazing and any fixed electrical installations comply with building regulations requirements. The right conservatory on your home can increase the value of your property, this is one of the main reasons why we have brought this conservatory buying guide to you; however it is worth noting that planning permission may be required. • No more than half the area of land around the “original house” would be covered by additions or other buildings. • Single-storey rear conservatory must not extend beyond the rear wall of the original house* by more than three metres if an attached house or by four metres if a detached house. • Maximum height of a single-storey rear extension of four metres. • Extensions of more than one storey must not extend beyond the rear wall of the original house* by more than three metres or be within seven metres of any boundary opposite the rear wall of the house. • Maximum eaves height of an extension within two metres of the boundary of three metres. • Side extensions to be single storey with maximum height of four metres and width no more than half that of the original house. • On designated land no permitted development for rear extensions of more than one storey; no cladding of the exterior; no side extensions. Still Want To Buy A Conservatory? Contact us for a free conservatory quote. We can put you in touch with a fully accredited, trusted local conservatory company.